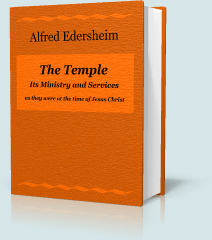 The Temple: Its Ministry and Services as they were at the Time of Jesus Christ, by Alfred Edersheim, helps the student of Christ's ministry understand the services of the Temple in which Christ taught and worked. "It has been my wish in this book, to take the reader back nineteen centuries; to show him Jerusalem as it was, when our Lord passed through its streets, and the Sanctuary, when He taught in its porches and courts; to portray, not only the appearance and structure of the Temple, but to describe its ordinances and worshippers, the ministry of its priesthood, and the ritual of its services. In so doing, I have hoped, not only to illustrate a subject, in itself most interesting to the Bible-student, but also, and chiefly, to sketch, in one important aspect, the religious life of the period in which our blessed Lord lived upon earth, the circumstances under which He taught, and the religious rites by which He was surrounded; and whose meaning, in their truest sense, He came to fulfil. "The Temple and its services form, so to speak, part of the life and work of Jesus Christ; part also of His teaching, and of that of His apostles. What connects itself so closely with Him must be of deepest interest. We want to be able, as it were, to enter Jerusalem in His train, along with those who on that Palm-Sunday cried, 'Hosanna to the Son of David'; to see its streets and buildings; to know exactly how the Temple looked, and to find our way through its gates, among its porches, courts, and chambers; to be present in spirit at its services; to witness the Morning and the Evening Sacrifice; to mingle with the crowd of worshippers at the great Festivals, and to stand by the side of those who offered sacrifice or free-will offering, or who awaited the solemn purification which would restore them to the fellowship of the Sanctuary. 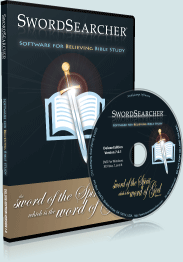 We want to see these rites, as it were, before us—to hear the Temple-music, to know the very Psalms that were chanted, the prayers that were offered, the duties of the priesthood, the sacrificial worship in which they engaged, and the very attitude of the worshippers—in short, all those details which in their combination enable us vividly to realize the scenes, as if we ourselves were present in them. For, amidst them all, we ever see that one great outstanding Personality, Whose presence filled that house with glory." This module also contains Sketches of Jewish Social Life.